Story posted December 10, 2014 in Election 2014 by Samantha Haig. Story posted December 9, 2014 in Election 2014 by Kellie Yekel. Story posted December 9, 2014 in Election 2014 by A Day For The People. Story posted December 9, 2014 in Election 2014 by Tomy Yan. Story posted December 9, 2014 in Election 2014 by Shuray McCallum. Story posted December 9, 2014 in Election 2014 by Charles Jones. Video posted November 11, 2014 in Election 2014 by The Centre County Report. posted November 6, 2014 in Election 2014 by Centre County Report. Video posted November 4, 2014 in Election 2014 by Centre County Report . Story posted November 4, 2014 in Election 2014 by Ruoyi Li. Story posted November 4, 2014 in Election 2014 by Lucie Couillard and Kelsey Tamborrino. 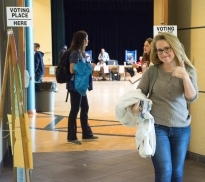 Story posted November 4, 2014 in Election 2014 by College of Communications. Changing of the Guard: What’s Next After Wolf Win? Story posted November 4, 2014 in Election 2014 by Centre County Report. Video posted November 4, 2014 in Election 2014 by Hannah Byrne. Photo posted November 4, 2014 in Election 2014 by College of Communications. Video posted November 4, 2014 in Election 2014 by Rachel Wilson . Video posted November 4, 2014 in Election 2014 by Giuliana Giuffrida. Video posted October 31, 2014 in Election 2014 by Centre County Report . The Candidate: Has Rep. Mike Fleck’s sexual orientation or his politics threatened his career? Story posted October 28, 2014 in Election 2014 by Clayton Over. posted October 23, 2014 in Election 2014 by Centre County Report. 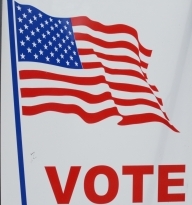 Video posted October 17, 2014 in Election 2014 by Centre County Report . Video posted November 4, 2013 in Election 2014 by Sean Grier.